Jadeja bamboozled the RCB batting line-up by taking 3 wickets in his 4 overs. Chennai Super Kings are hosting the Royal Challengers Bangalore in the 35th match of IPL 2018 at the MCA Stadium, Pune on Saturday (May 5). 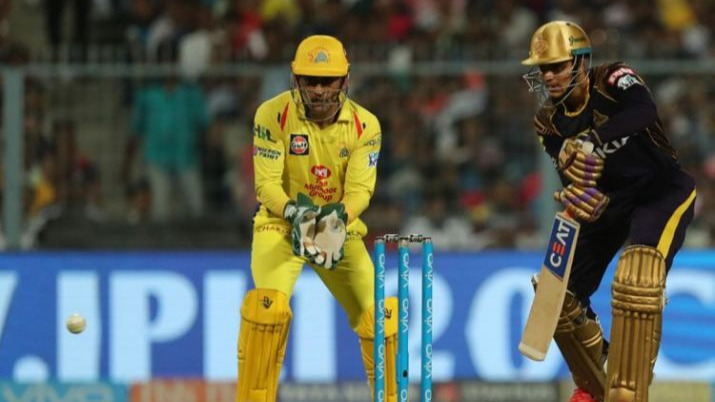 After being put into bat by CSK skipper MS Dhoni, the star-studded RCB batting line-up found it difficult to get going and was literally bamboozled by the left-arm spinner Ravindra Jadeja. None of the RCB batsmen barring Parthiv Patel (53 runs off 41 balls) managed to reach the double-digit figure. 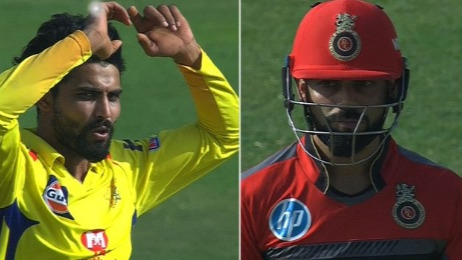 Jadeja got the prize scalp of RCB skipper Virat Kohli (8 runs off 11 balls) and then followed it up with the wickets of Mandeep Singh and Parthiv. Interestingly, Jadeja didn’t celebrate the wicket of his Indian captain which left everyone surprised. Usually, Ravindra Jadeja likes to show his emotions after getting the wicket of a premier batsman. In fact, he has given send-offs to quite a few batsmen in the past and was reprimanded for the same during Sri Lanka tour last year. No wonder, the cricket fans found this Jadeja gesture a bit difficult to digest.